It’s not easy to craft a Justice League that does not consist of the big names from the DC universe. It is possible, though. Back in 1987, Giffen and DeMatteis put together a team that completely revitalized the League, and provided some really entertaining stories. But other attempts to create Leagues without the major players did not turn out so well. Extreme Justice would probably be the weakest of the lot. 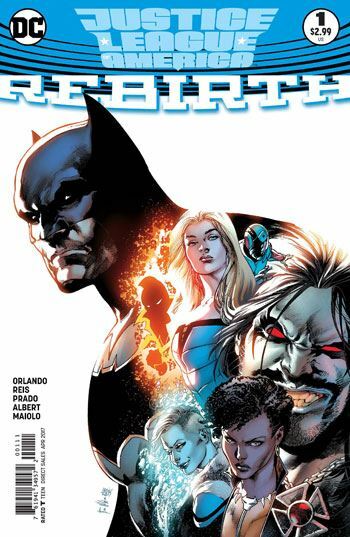 I am very happy to say that Justice League of America: Rebirth reminded me far more of the Giffen and DeMatteis incarnation than of any other version of the League. It’s the group dynamics that promise to make this series a lot of fun. I have to give them props for the use of the Rebirth specials over the last month, introducing (or re-introducing) the Ray, Vixen and the Atom. 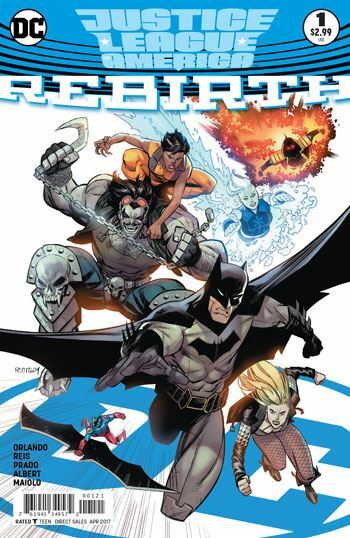 Killer Frost was given both a special, and a major role in the Justice League vs Suicide Squad miniseries that launched this book, and gave a reason to put Lobo on the team. I think the crowning touch, which will pull it all together, will be the use of Black Canary. She is one of the characters that Batman has always held in high regard, and it was great to see this explicitly acknowledged in the first issue. Reis, Prado and Albert have executed some wonderful art on this story. The Happy Harbour JLA cave comes to life in a way never shown before, really looking like an underground base. I also give this series a launch a big thumbs up for being diverse in terms of gender, race and sexuality. That is exactly what is needed these days. And even though nothing much really happens in this issue, it’s just the gathering of the team, the story remained fun and engaging, which bodes extremely well for later issues. I don’t think I have read a Steve Orlando story that I haven’t enjoyed. The final page provides some teasers for later issues of the run, and I admit I was thrilled to the core of my comic geek self to spot Miss Liberty on the page. This has been so well constructed, a great grouping of old and new Leaguers, set up through an excellent miniseries and some very good one shots. I’d wager money that DC has a winner with this book.